Wow Lewis spun out. He is struggling this session. He got in the astroturf....still wet. Looking good so far. 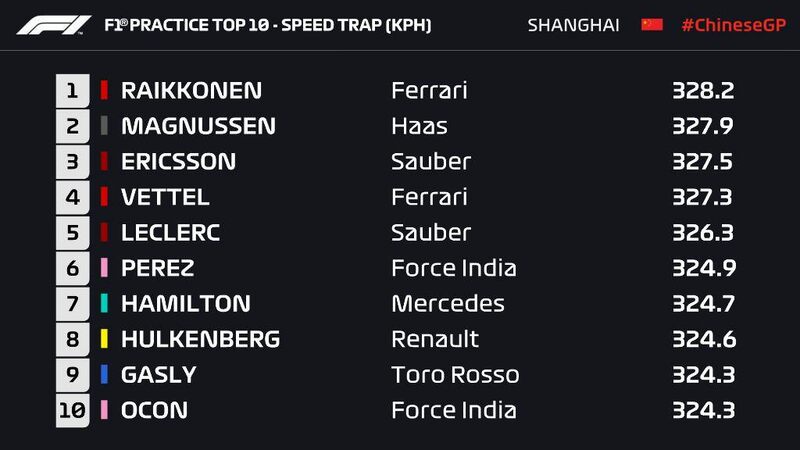 All Ferrari powered cars in the top 5 for the speed trap. Good session for us. However, I think merc will arrive for qualifying. I’m expecting a very close quali, with us being just behind. Of course, I would love to be proven wrong! What an exciting year so far though! JPBD please dont think mate it can be dangerous. 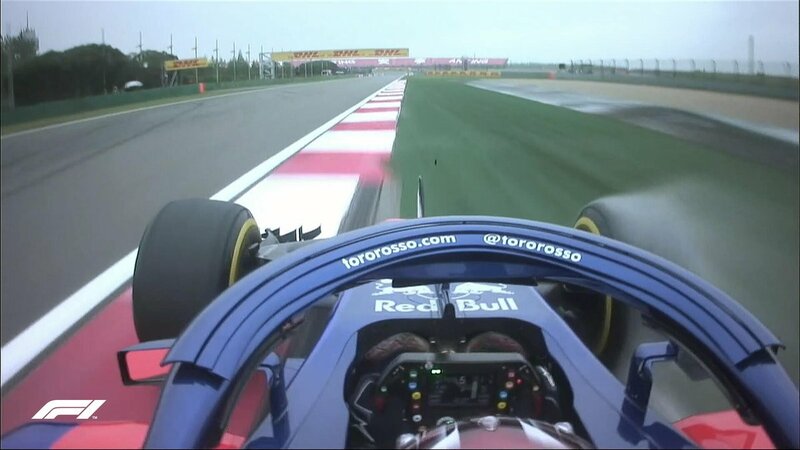 Very variable conditions, will probably remain so going into Q.
Merc will up there game, still think they are faster. Good to see Ferrari working in different conditions..
Also, again HAM struggling.. Last race he was wining constantly over the radio, Australia "what happened? was that my mistake? ", ... he just needs to have everything perfect to shine..
Ferrari looking good for pole position ....!! Now after fp3.... mercs & Ferrari on same set of allocation. Interesting to see who will go for Softs in q2. Max on 2nd row .... no please. We will see now how much Mercedes is sandbagging. 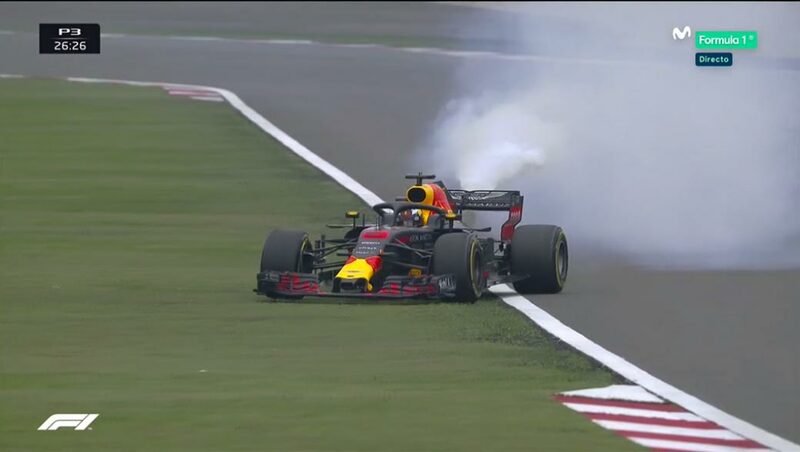 All he need is 1 lap, I still think he will get pole.. They Always get a lot more time in Q3 and this is a good track for Merc..
Is it really that good a track for mercedes things have changed 2017 is yesterdays news move on. Its either Mercs are sandbagging heavily or that we are really quick. I hate sandbagging to be honest, it comes with so much disappointment so lets hope our pace is somewhat real. That's what I'm afraid of.. I hate them for doing this. What is the reason for that other than shocking others? That's not an honest thing to do in my opinion. on the footnote: Are you Hungarian by any chance? Even if they turned their engine down, they're no match for Ferrari. Also we will turn up our engine in q3.